Tina’s Heavenly Touch Massage and Day Spa is a premier Massage and Day Spa in Beaumont, Texas. 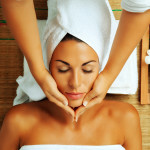 Our services include Massage Therapy, Facials, Waxing and Body Treatments. We offer Manicures, Pedicures, and Artificial Nails. We are a Relaxing Massage and Day Spa Ready to Help You Relax, Renew and Find a New You, at Tina’s Heavenly Touch. Tina’s is a Relaxing Massage and Day Spa in Beaumont, Texas. Relax, renew and find a new you at Tina’s Heavenly Touch Massage and Day Spa, located in Beaumont, Texas. After just one visit, you’ll understand why our Massage Day Spa has received so many accolades over the years. Tina’s Heavenly Touch Massage and Day Spa has redefined spa treatment with experienced therapists, manicurists, and estheticians. Relax, renew and find a new you at Tina’s Heavenly Touch Massage and Day Spa, so call us today at (409) 861-2116..
At Tina’s Heavenly Touch, we believe our guests deserve the very best every time.